All The Write Stuff: Meet Sarah LaPolla, associate agent from the Bradford Literary Agency! 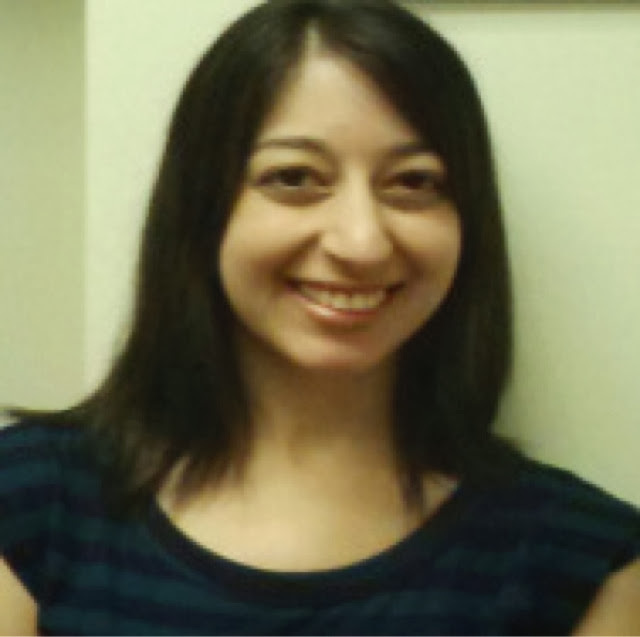 Meet Sarah LaPolla, associate agent from the Bradford Literary Agency! How delightful we have the good fortune of having you back at the GLVWG "Write Stuff" Conference! I believe last time you were out I was the co-conference chair for Kathryn Craft and James N. Frey was our keynote. How are you? Sarah LaPolla: Thanks so much for having me back! I've been doing very well since the last time I was at Write Stuff. A lot of changes - in a good way. I've been continuing working primarily with YA fiction, but I sold my first adult urban fantasy and my first middle grade last year. The biggest change has been my new agency, Bradford Literary Agency. What are you liking best about the move? Sarah LaPolla: The agency move was a huge decision I made last year, but I know it was the right one. I had been working in foreign rights, primarily, at Curtis Brown, and it was an area of publishing I loved. But, I wanted to focus on domestic rights and build a client list of my own, which I was able to begin doing at Curtis Brown. The experiences at working both places have been quite different. I think what I've enjoyed most about the move is that I've been able to make my list more diverse and have the time to focus more on what "type" of agent I want to be. Do I want to be totally specialized in a few areas or do I want to expand based on my tastes? Do I want to give in to trends or work on more timeless genres? These are questions I've been asking myself since I switched agencies, but I don't know if that has anything to do with the agency specifically. It's more that I'm growing as an agent, and Bradford just happens to be the new home to guide me during this new phase of my career. It's pretty exciting! Plus, Laura Bradford and Natalie Lakosil are amazing women, and I am so proud I get to join their team! Based on other interviews, I know you originally wanted to be an editor. What made you decide to be an agent? On that line, what is the most favorite part of your day (as an agent)? What do you find most challenging? And do agents really work 12-16 hours a day? Sarah LaPolla: It's true; back in my youth I dreamed of being an editor. I knew I wanted to be on "the other side" of publishing even while I was studying creative writing in college. I carried that with me to my MFA program, which I entered, again, because I wanted to be a better writer and editor, but without any real drive to be a (capital W) Writer. When I got to New York, I almost immediately starting applying to editorial assistant positions, and the HR departments at various Big 6 publishers were nice enough to humor little 22-year-old me. I spent over a year getting rejected until I remembered most people do unpaid internships first. That's how I fell into agenting. I didn't really know what an agent did. They weren't something we learned about in creative writing classes, and Twitter wasn't a thing yet. But, I knew they meant "publishing!" so I interned at a small agency that represented books I didn't read, then I interned for an agent who represented books I loved. By the time I was actually qualified for a paying job, I knew I wanted to stay with agenting, and lo and behold, Curtis Brown, Ltd. needed a foreign rights assistant. So here I am! My favorite part about being an agent is finding that manuscript that reminds me why I wanted to work with books in the first place. I like being reminded that I can help others read this manuscript that no one else has read before. Another nice thing about agenting in the post-digital era is that agents have taken on a very editorial role, so I still get to use those creative skills I love using. But, yes, it is true we work 12-16 hour days. I'm never not working. Whether it's emailing editors and clients, making submission lists, reading clients' manuscripts, editing, reading queries, reading requested manuscripts, doing conferences, or just thinking about what I want to find next - my job is never technically "over." I try to create boundaries. I check my email all the time, but I don't make it a habit to send emails after 8:00 or on weekends. Queries, however, are pretty much exclusively answered on nights and weekends. But I try to get to them during work hours as often as I can so I can have what the kids call "a life." So could you give us a quick backstage look regarding what it's like to be an agent? Maybe two or three things most writers probably don't know. 1) We don't just read all day. We like saying we get paid to read for a living because it's kind of true, but that's not actually reality. I rarely-to-never read during business hours. My nights and weekends are devoted to reading, and that includes client work, requested material from potential clients, and queries. Our clients and the work we do on their behalf are our first priority. If you're wondering why your query is being answered at 3AM on a Saturday or why it's taking us a month to read three chapters, that's why. 2) Agents edit, but we don't have to. To be clear, most agents are editorial and will work with their clients on revisions (sometimes more than one) before submitting a project to editors. The current market has practically demanded that manuscripts be as retail-ready as possible even before editors consider them. But, at the end of the day, agents pitch manuscripts and editors edit them. When we edit, we're putting in hours (if not months) of free labor that is not a required part of our job description. Please remember that before complaining that an agent isn't "editorial enough." 3) No one wants to reject you! Agents have this reputation of being "gatekeepers" who burn our slush piles, but the truth is that most of our clients started in our query folder and we continue to find people we love in the slush pile. We don't dread opening new queries. We hope we're going to find something amazing. We look for reasons to request a project, not to reject it. I enjoy your Glass Cases blog and I'm sort of hesitant to admit I could really relate to "Aren't Real Writers supposed to put writing ahead of everything else?" from your post "On Being a Real Writer." Out of curiosity, how is your writing panning out in 2014 so far? Sarah LaPolla: Thanks for asking! I felt pretty good about my own writing toward the end of last year, but I haven't had much time to myself in 2014 yet. Like I said in my blog post, I don't put writing ahead of everything else. There are things I do put writing ahead of, but my career isn't one of them. Even if I do ever finish a novel I think is worth querying, I could never give up being an agent. My clients are too important to me. Could you tell us what your favorite book was when you were a kid? Is it still your favorite? Do you think it influenced what you look for now? Sarah LaPolla: As a kid, I'd have to say the Fear Street Saga by R.L. Stine. I was a big Fear Street kid, but the Saga trilogy were my favorites. Yet, I can't say with confidence that those books influenced what I look for now. It helped shaped my love of reading and books in general, though. As a teen, my favorite book was The Perks of Being a Wallflower and it remains the most important book I've read (on a personal level). That book has absolutely shaped my taste in literature, specifically with character types and overall themes in YA. If your dream submission landed on your desk this moment, what would it look like? Would there be anything that would make you walk away from it? What would you say is the most important part if a submission is not quite perfect but caught your attention? Sarah LaPolla: The thing is, I have no idea what my dream submission looks like because it doesn't exist. I won't know what I fall in love with until I read it. I know what genres and styles I'm drawn to and what I'm usually not a fan of. Beyond that, I just want something that surprises me. Something with depth. Something that matters. Something I can't stop reading. The most important of a submission is showing an agent that it stands out in the market, no matter what the genre is. Nothing is perfect and everything needs revision. Agents are good at seeing potential, no matter how slight. If we see something worth working on, we'll keep reading. Sarah LaPolla: I'd like to see more originality. While most premises have been done before, writers still need to bring something new to their genre. Otherwise, why do we need that book to be published? With a lot of queries I receive, I end up thinking, "this seems fine, but I can re-read 4 or 5 books that are just like it instead." I want to see fewer manuscripts that are already in bookstores and more of what I didn't even know I wanted. And finally, what three pieces of advice would you give to writers looking for representation? And looking to pitch? Sarah LaPolla: Have patience and understand that rejections are not personal. Querying and pitching are about telling an agent what your book is about and who you are as a writer, and they're about finding the right agent for your work. Don't waste your time getting mad at the ones who weren't enthusiastic about your projects. Appreciate feedback when it's given, but don't expect it, and don't feel obligated to revise based on one agent's advice unless you agree those changes will make your book stronger. You're not just pitching your books to us; we're pitching our vision for your books to you. A rejection just means we didn't have a vision for you, but that doesn't mean another agent won't have one. It's about being a good match on both sides. Sarah LaPolla joined Bradford Literary Agency in May 2013. Prior to joining Bradford Lit, Sarah worked for five years in the foreign rights department at Curtis Brown, Ltd., and became an associate agent there in 2010. She received her MFA in Creative Writing (Nonfiction) from The New School in 2008 and has a B.A. in Creative Writing from Ithaca College. She runs a writing-focused blog called Glass Cases (http://glasscasesblog.blogspot.com/) and tweets about writing, publishing, and pop culture at @sarahlapolla. Can't wait to meet you, Sarah! And if I get another life after this one, I hope to be an agent living in the big city.